Another way to think about Baby Boomers and their joints. One Baby Boomer turns 50 every seven seconds, roughly 12,000 every day. An astute Boomer with a 30-year history in health and fitness has been observing this remarkable aging trend and decided to take action. 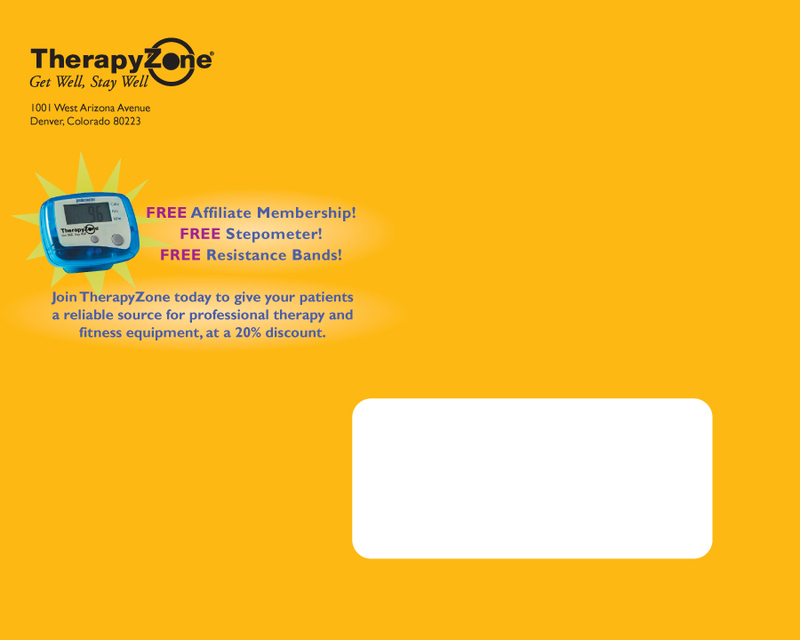 TherapyZone is the result. 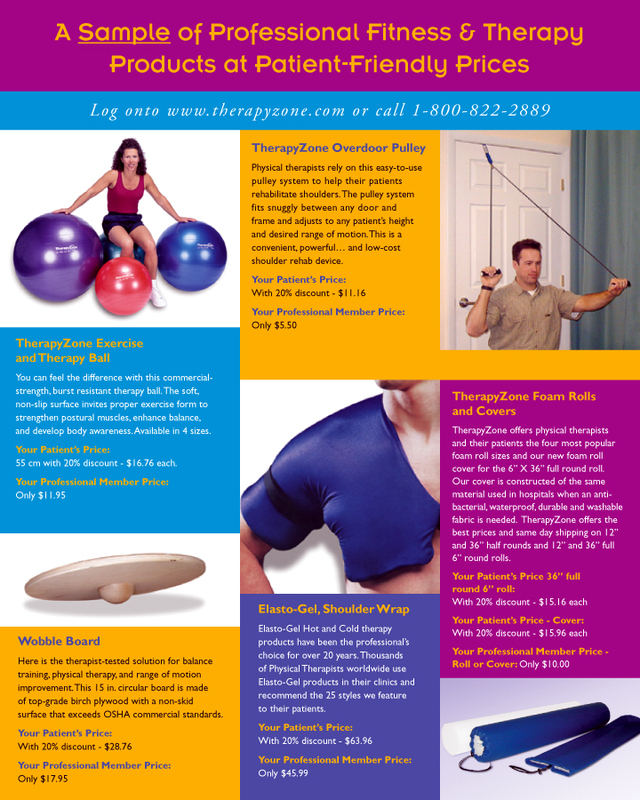 This Internet-based company sells professional therapy and fitness equipment to the patients of physical therapists, chiropractors, massage therapists, occupational therapists and personal trainers. The marketing model is ingenious. 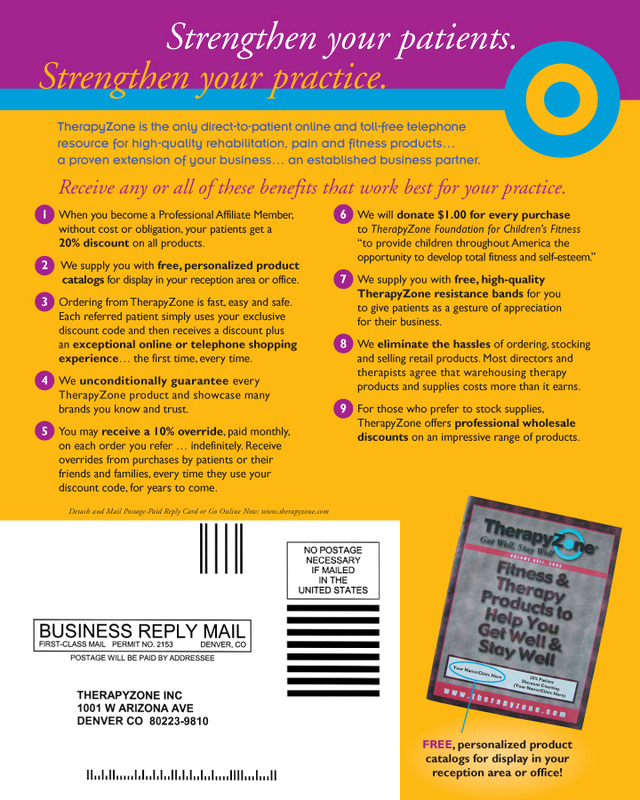 When you visit an affiliated health professional, you are referred to TherapyZone’s website to order equipment for home rehabilitation and fitness. 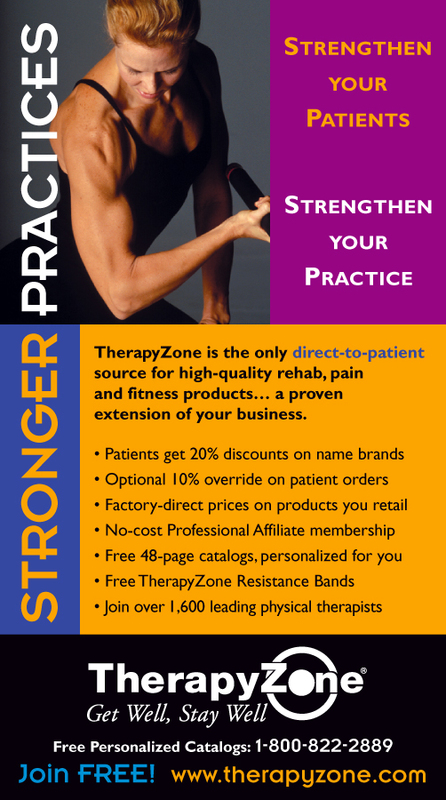 You do not need a prescription, and you receive a 20% discount on all purchases. Your friends and family get the same discount. 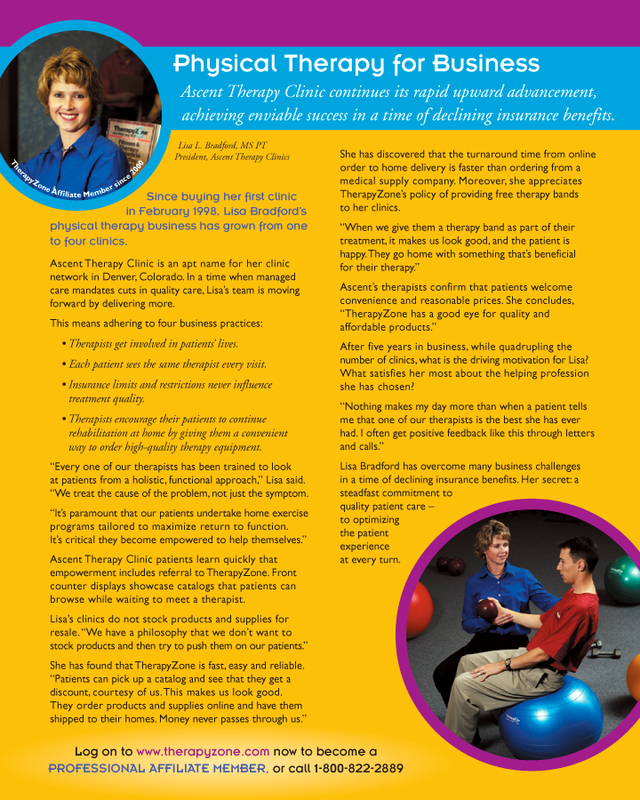 Brent Green & Associates has developed an advertising and direct mail campaign to promote this patient-friendly service to physical therapists nationwide. 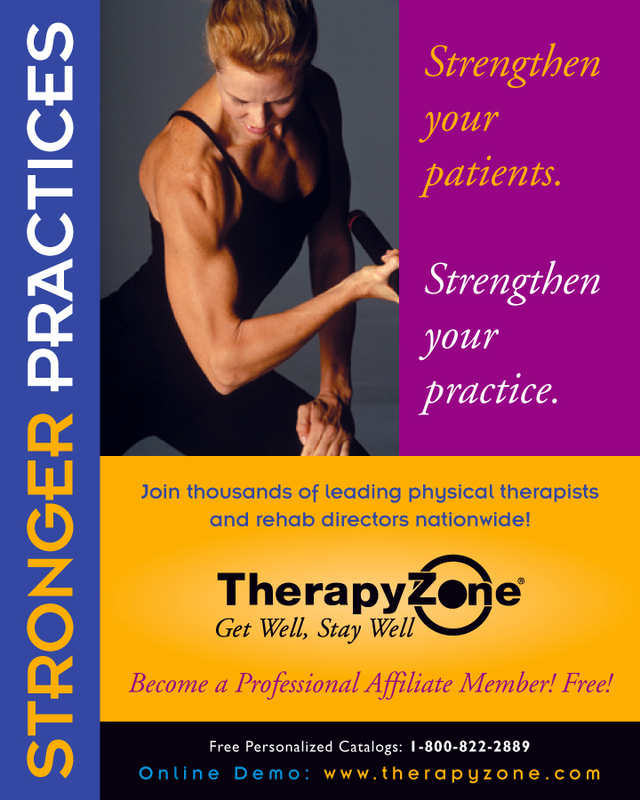 Stronger Practices: Strengthen your patients, strengthen your practice.